At Briz Wood Fired Pizza, we joyfully provide quality wood fired pizza catering to all areas between Gold Coast, Gatton, Brisbane and the Sunshine Coast. Our delicious pizzas are cooked fresh and onsite, in our mobile wood fire pizza ovens, therefore creating a convenient mobile catering solution for your event, party or wedding. 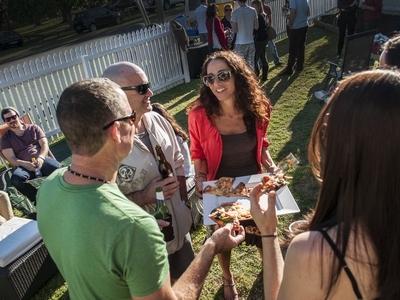 Choose which mouth-watering wood fired pizza menu you would like for your party or event. Then sit back and watch your guests enjoy our delicious mobile wood fired pizzas. Brisbane’s most popular mobile pizza catering companies.